Save 50% or more on your Prime Pantry order by doing this amazing deal! Shop the Clearance Items Here. Save an Extra 30% off with promo code PANTRY30 at checkout. This promo code works on top of coupon discounts (under select items). 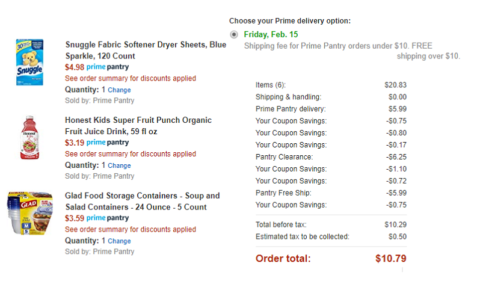 Plus, with Prime Pantry membership you score FREE shipping on orders over $10. Sign up for a FREE Prime Pantry Trial here. Click here to place an order now!